Local couple Param and Julie Toor who own Home Instead Senior Care in Wolverhampton have met local MP Paul Uppal this week when they took part in the annual Tettenhall Round Table Annual Summer Fete. 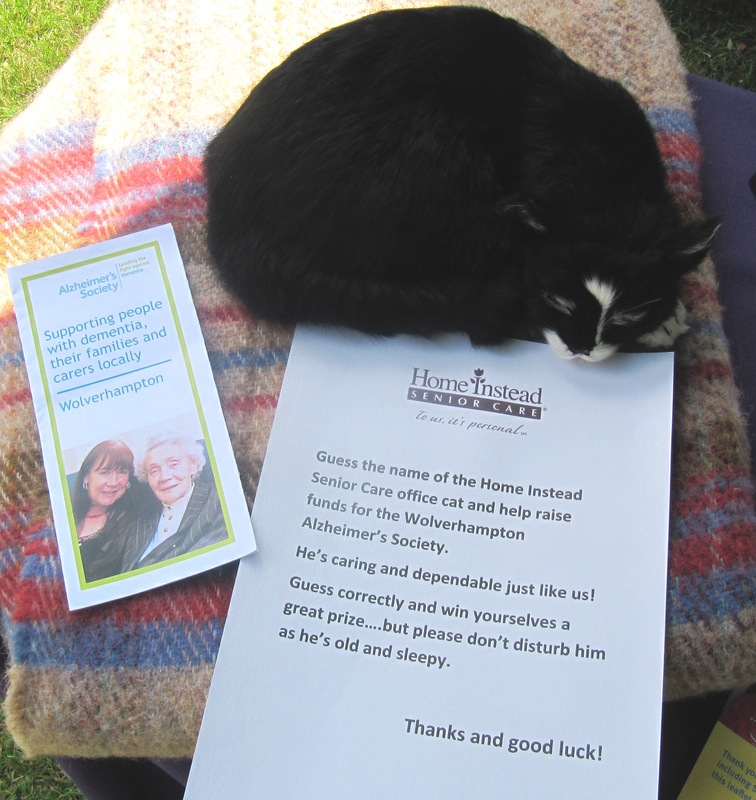 The couple hosted a stall at the fete and raised over £200 for The Alzheimer’s Society by asking attendees to guess the name of the office cat, which happens to be a stuffed toy! As residents of Tettenhall themselves, Julie and Param were familiar with this event and excited to take part. They were particularly thrilled when MP Paul Uppal stopped by to offer his support for the cause, and of their new company. Their stall was intended to raise money for The Alzheimer’s Society in conjunction with Alzheimer’s awareness week. Asking for just a £1 donation to the cause, the couple challenged participants to guess the name of their “office cat” with the winner receiving a bottle of champagne, chocolates and flowers. 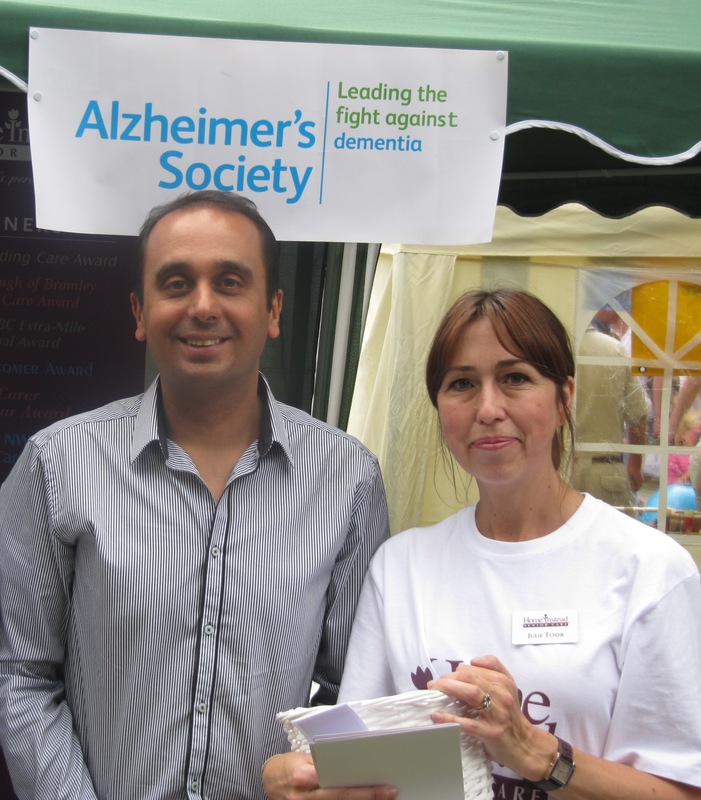 Local MP Paul Uppal (left) visits Home Instead owner Julie Toor (right) at her fundraising stall at the Tettenhall Round Table Summer Fete. Over £200 raised for the Alzheimer's society courtesty of stuffed cat Simon.